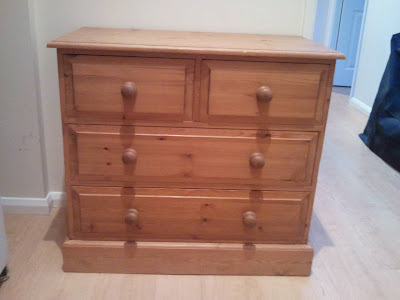 Being tight, we've managed to scrounge a chest of drawers off Sean for the baby's clothes and to function as the base for the changing table. It's meant I've had to pack my weights away so I can't train with them any more. Such a huge sacrifice, I was using those weights all the time - training many times a day as can be seen from my honed physique... Oh, did I just confuse dream and reality again?